It's the Purple One's 50th — celebrate in style. 92YTribeca will host a sing-along to "Purple Rain" tonight at midnight—with beer. 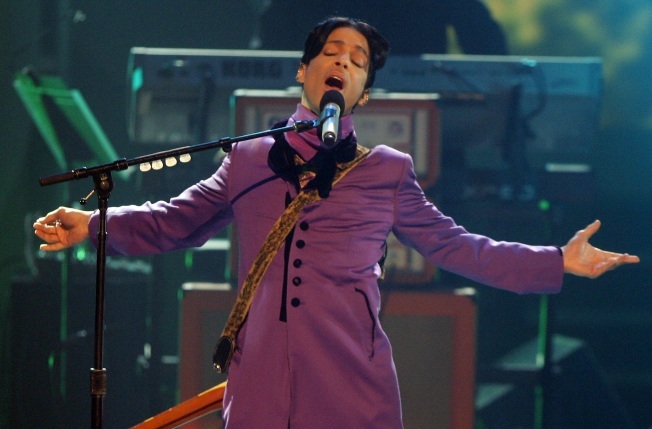 It's become something of a tradition — one that's seemingly half-serious — to celebrate the artist-formerly-and-now-once-again-known-as Prince's birthday each year. Usually this takes the form of apartment parties where ladies dress up in their diamonds and pearls and fellas shimmy — even (especially) the dorky white boys — to "Kiss" and "Raspberry Beret" all night long. There are many good reasons to throw a party, chief among them, of course, is that he is funky. The man has been everywhere since he reclaimed his name — headlining from Coachella to the Super Bowl, and as he hits the half century mark, the 92YTribeca is taking it one step further and hosting a midnight "Purple Rain" screening and sing-along at midnight tonight. Hey, it's like New Year's for aficionados of Minneapolis's half-pint purple wonder, and you don't want to be stuck without a party.